Did you know you can download eBooks for FREE with T-SPL? What about music downloads? Magazines? Movies? Audiobooks? TV shows?! Put your eReader and MP3 player to work and start downloading today. 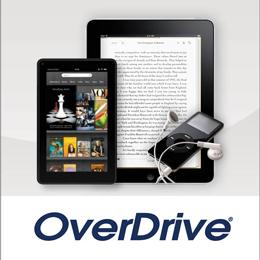 The Library has access to all new releases, reader favorites and ultimate classics through our partnerships with OverDrive, Freegal, Hoopla Digital and the Ohio Digital Library. For eBooks, it is just like borrowing a book from the Library, go to The Ohio Digital Library, find the eBook you want, enter your library card and check it out. The best part of borrowing an eBook? There are no late fees! And you can do it all here. Same with music, movies and magazines. Just use your library card number to set up an account with one of our partners and start checking items out! It's so easy. And, if you ever have any questions, we are always here to help you. Give us a call at 419-447-3751 or ask at the Information Desk. Get your FREE eBooks here! Browse and borrow with just your library card. eBooks are compatible on all major devices. It's free and legal. Get five music downloads every week, and three hours streaming per day! From the Sony collection, there's something for everyone. New! A FREE online streaming service for movies, music, comics, audiobooks and eBooks. Check out five items per month with no holds and no late fines. Did you know that there are a number of apps that allow you to have the library at your fingertips? Check out some of them below! We understand getting started with your eReader can be pretty confusing. The staff at T-SPL has done their research and know the ins and outs of most brands of eReaders. Call or stop by the Information Desk for one-on-one help or just pick up a handout with step-by-step instructions. If you can't stop by, just click on The Ohio Digital Library and access the help section there.